Carpet Culture, is a unique rug store in Soho New York, offering an exceptional selection of new and antique rugs from around the world. 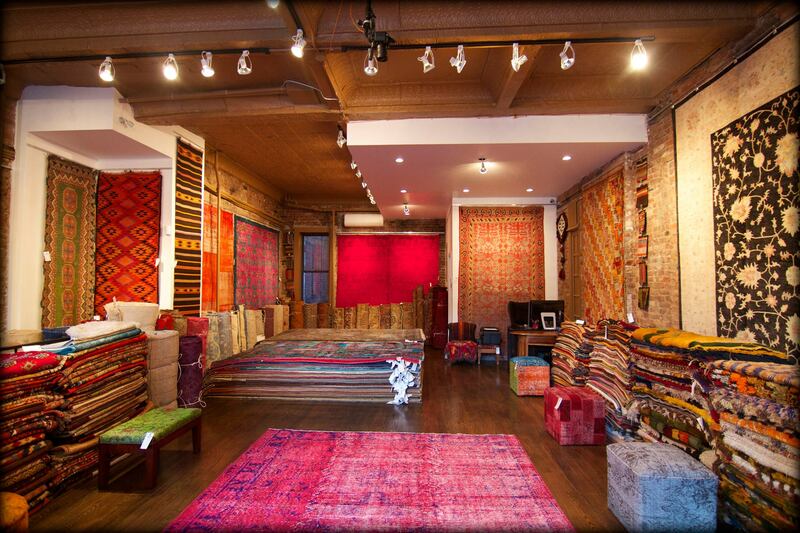 We are designers & master weavers of Decorative, Nomadic, Antique, Contemporary rugs & carpets. Carpet Culture provides best Rug Restoration, Rug Repair, Rug Cleaning and Rug Rental services in the tri-state (New York, New Jersey, Connecticut) areas. Free estimates are provided with any kind of rug service. Our skilled staff, with a long history in the trade can Clean, Repair and Restore your Hand Woven treasures. Among these are Abussons, Savonnries, Textiles, Tapestries, Needle Points and Hooked Rugs. Our variety of services also include Moth-Proofing, Fire Damage, Flood Damage, Pet Stains, Odor Removal, Scotch Guarding Allergy and Padding. Under the close watch of Javaid, Restoration work is carried out by our skilled workers. Clients are welcome to stop in and view restoration work using cotton, wool, silk, natural fibres and colors live in our gallery. You can check our store by clicking Google Business View Virtual Tour.